How can I replace a full stop with an image? 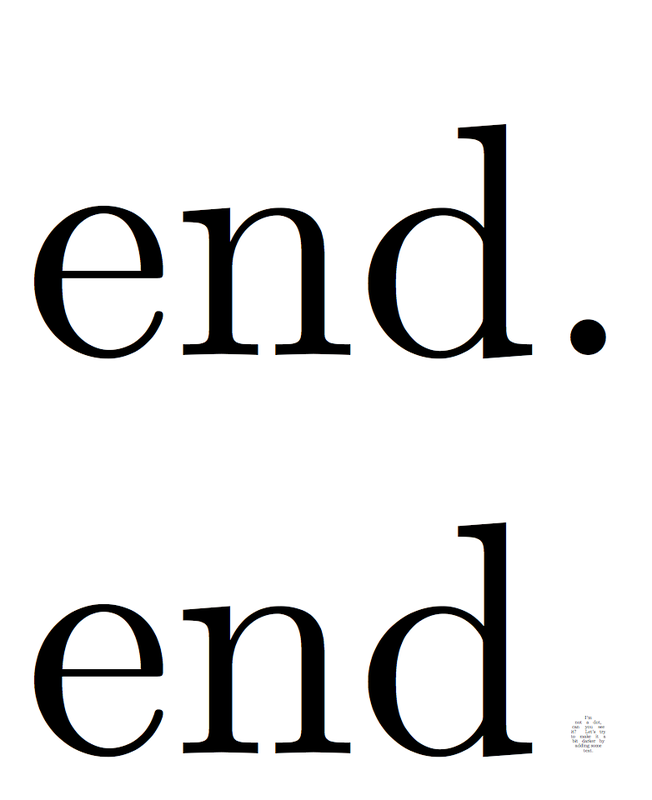 I would like to hide an easter egg in my document by replacing the last full stop of my conclusion with a (vector) image scaled down to pass as a punctuation, almost like a microdot. Is this possible to do without too much work? The image itself is an SVG which I have converted to a TikZ image using InkScape, but if another format is better suited for this I can convert it again. The document is going to be published as a PDF so I'm hoping that someone with a keen eye may notice and zoom in enough to see the image. The main problem is making the fake dot sufficiently dark. I used a PDF file of a text inside a circle. Not the answer you're looking for? Browse other questions tagged graphics punctuation or ask your own question. Abbreviations and full stop--how to avoid double dots? How to replace chapter boilerplate with full-page image? How can I check if a header has an ending full stop?